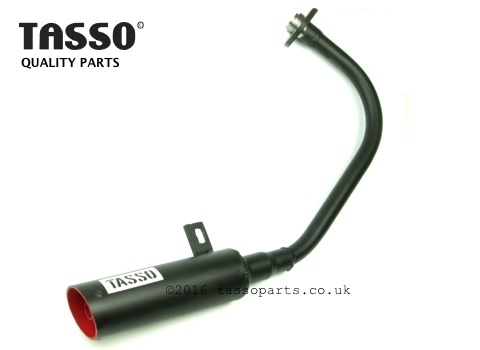 Tasso Exhaust for LML 4T 125 & 150, following on from the original LH version we are pleased to release our new RH (engine side) type. Available in 3 different finishes, unpainted, VHT Red and VHT Black. Same price £99+vat and advanced tuning features for those wanting extra performance. 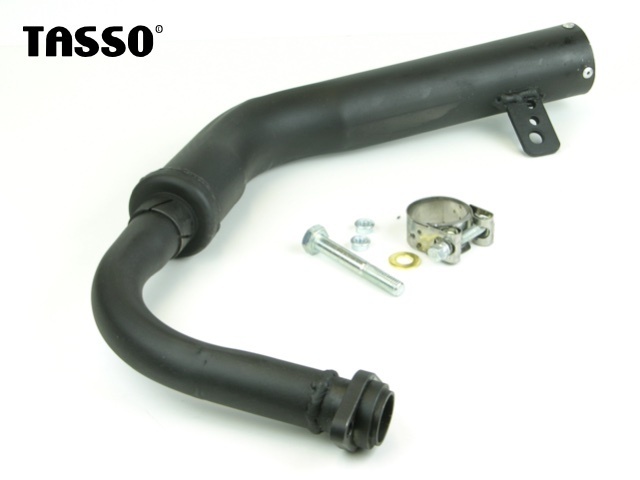 Remember free delivery and discount for LMLOCGB members Dealers discounts also available. What's the diffence between them-and before anyone says it, I know one exits on the right side of the engine and the other is on the left . Are there any advantages of one over the other? Nope exactly the same tuning options. Just preference over exit side. Have thought about that but it theory it would loose the scavenging needed thus loosing power. The only way would be to use smaller bore down pipes and it may look a bit odd with weenie pipes. At the moment pretty happy with either the LH or RH, both have a great 'growl' sound to them. Looks like a great pipe and good reviews. I was going to go for the Polini but am now thinking that I like the Tasso pipe instead. I think I prefer the right hand pipe rather than the left because of the spare wheel issue that has been mentioned. Just looking at the photo above the pipe looks quite low but also quite tucked in and I wondered if ground clearance is affected at all in right hand bends? does the left hander make wheel changing difficult?